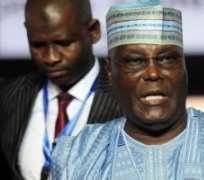 ABUJA (Reuters) – Nigeria’s main opposition candidate Atiku Abubakar said on Monday he will boost oil sector investment, cut costly fuel subsidies and double the size of the economy by 2025 if he wins next year’s presidential election. The opposition People’s Democratic Party (PDP) candidate is, like Buhari, a northerner – but analysts say his business background, in port logistics among other ventures, has won him supporters among the southern business elite. Nigeria remains largely dependent on sales of oil, which make up roughly two-thirds of government revenues. But it refines almost none of its crude, instead exporting what it produces and paying to import refined products – a large drain on the country’s wealth. Buhari – who in 2015 became the first opposition candidate to oust a president through the ballot box – has promised to keep up his campaign against corruption.